Mini Card | Stamp Right Up! I made a Christmas shaker card! 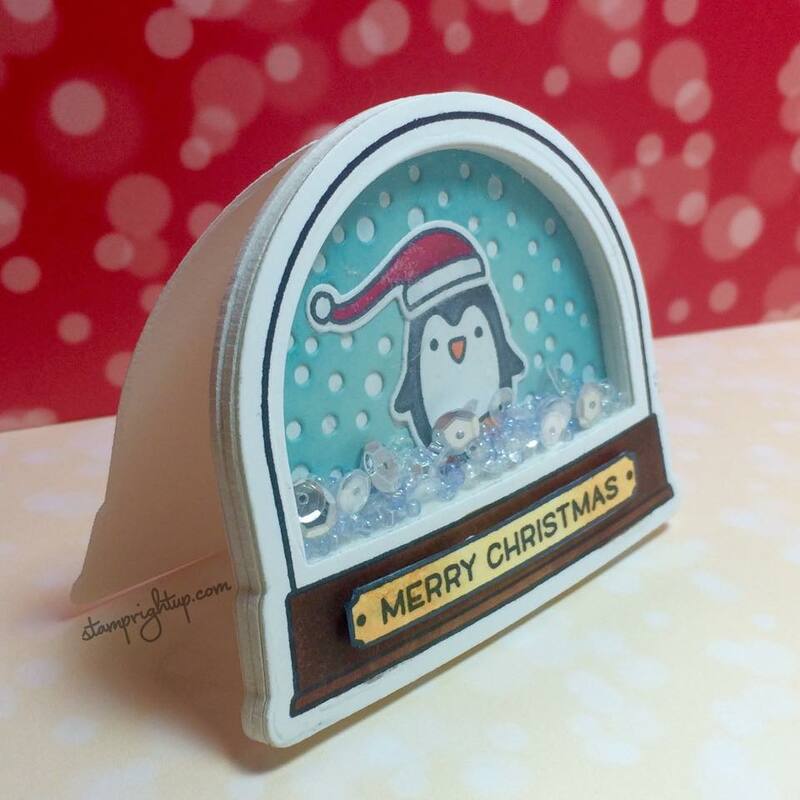 I have tried to make shaker cards before, and have only had a few successes – but the Ready Set Snow shaker add on from Lawn Fawn took all the guess work out of the construction of the shaker card & all I needed to do was stamp, color and assemble. When I first got this add on die set I was, admittedly betwixt as to how it actually worked.. But once I saw the How To video it all came together. This card is case’d from the video – I always try and make original card designs, but I tried twice to make a background I loved, and they both turned out, well…. meh. It was getting late & I really wanted to finish the project so I created this cute little guy. 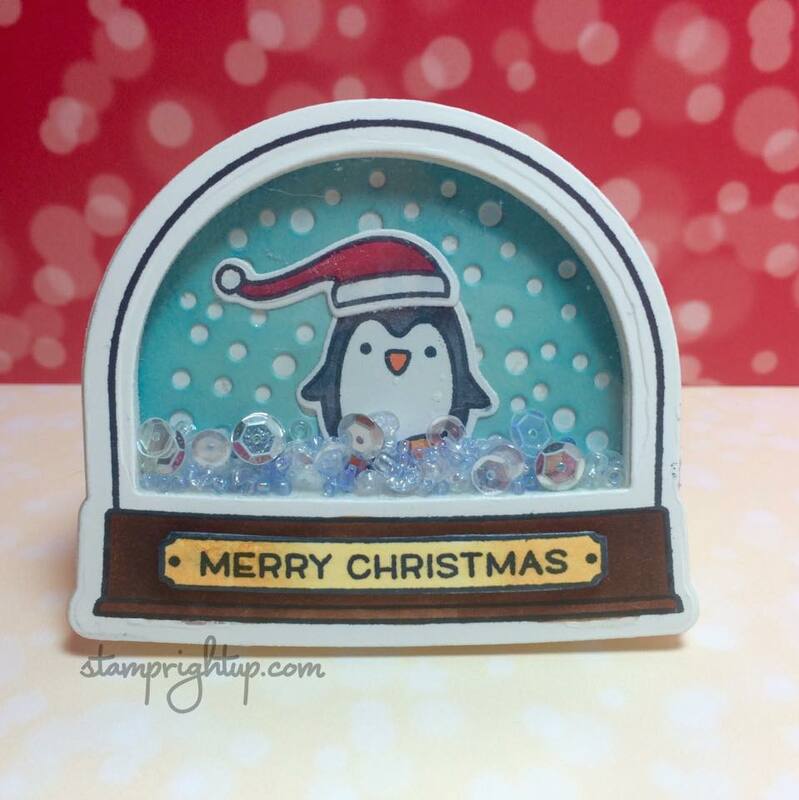 I stamped & colored the penguin and his Santa hat from the Toboggan Together stamp set, then die cut him out. I used the snowy sky background die from the Ready Set Snow Shaker Add on dies, then blended some Broken China & Tumbled Glass Tim Holtz distress inks along the top into the middle to give the piece some added dimension. When it came time to assemble my card, I chose to use two layers of standard fun foam to make sure there was ample room for the sequins and seed beads to move around. I found that the cupped sequins I had needed a little more than one layer. Now that I have had time to play with this, I am already thinking of the many other things I can create with this set!